Whether you think Hong Kong has the world’s most “ridiculous political system or that it appropriately protects the interests of business, it takes some explaining. As a registered voter, you have two votes in the LegCo election on September 4. 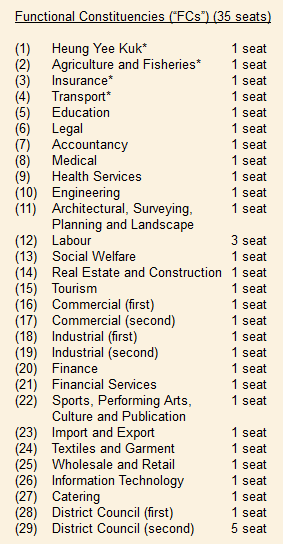 The outgoing LegCo consists of 70 seats, of which 35 are from geographical constituencies and 35 from Hong Kong’s unique creation, “functional constituencies (FCs).” These are a frankly random and hard-to-explain assortment of sectors. To take one example: insurance, finance and financial services are all separate FCs. Only 18 will actually be contested (fun fact: the Heung Yee Kuk seat has never been contested). Voting populations vary immensely – at one end agriculture and fisheries has 154 voters; at the other end education has 88,000. Of the 35 FCs, five are district council super-seats that we all get to vote on. More on that later. In the outgoing Legco, pro-Beijing members hold 43 seats and the pan-democrats 27. The government parties need to take five seats to get a two-thirds majority, which would enable them to override vetos on legislation such as political reform or Article 23. That’s the larger election context. Here on Lantau we are part of New Territories West, the largest electorate in voting population (1,086,511) and probably in area as well. We get to elect nine members. If you’re a registered voter in South Lantau, you will already be receiving a steady stream of mail (candidates get our email and street addresses). In the 43-page guide called Introduction to Candidates you will see the candidates are divided into 20 lists. Each is numbered and, being Hong Kong, the number is important. You won’t see any promotion for a candidate without the number being referenced. Voting works on what is officially known as the Hare quota system, with a single transferable vote. In practical terms, it means you vote for just one list. As the name suggests, the Hare system is based on quotas. Once the first candidate on a list reaches quota, the votes spill down to the next candidate and so on. 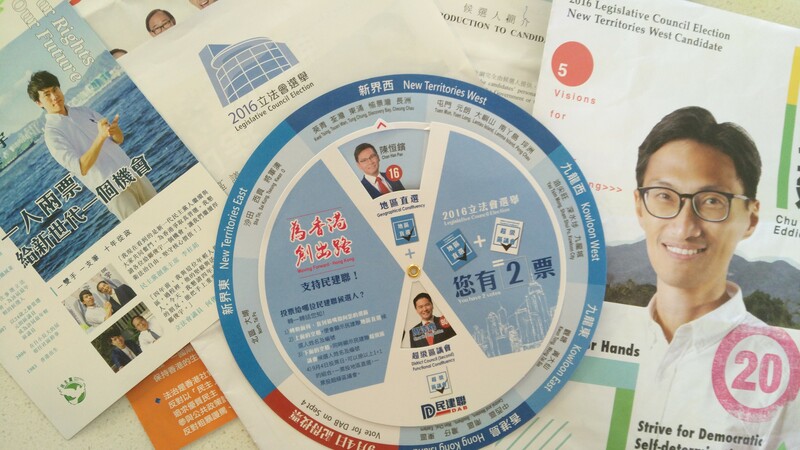 If you’ve read through the booklet you’ll have observed that the DAB, the biggest pro-government party, has fielded two teams. The first team (no.9) is led by sitting member Leung Che-cheung. The second (no. 16), is led by Ben Chan Han-pan. This is a sign both of confidence and ability to target voters. Most likely they are targeting rural areas, like Tuen Mun and South Lantau, with the Leung Che-cheung list – he’s a Heung Yee Kuk figure. The other list is likely aimed at urban voters. Finally, there’s our other vote, for the district council ‘super seats.’ Here we have candidates from across Hong Kong competing for five LegCo seats. All are district councillors and are in lists numbering from 801 to 809. The DAB is again running two lists. Again, your job is to choose just one list. That’s the voting system. The next post will take a dive into the candidates themselves.